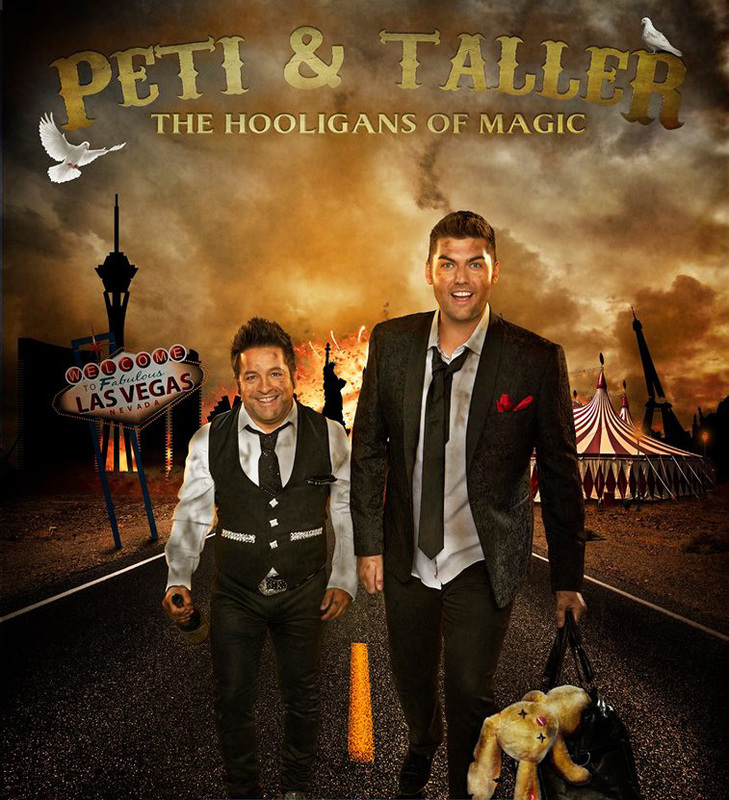 Peti & Taller "The Hooligans of Magic"
Two magicians team up for a night of irreverent hijinks and grand illusions. Uniquely comedic and interactive, the hooligans of magic perform wild illusions with a dash of impromptu humor! Join “The Hooligans of Magic” for an action-packed, laughter-filled evening of magic and mayhem where Mateo Amieva and Christian Ford prove that anything is possible in SIN CITY! Traveling the world, this dynamic duo have built an unforgettable theatrical experience, delighting more than 3,500 audiences internationally. Starring Mateo Amieva from the #1 best-selling magic show in the world, Criss Angel “Mindfreak LIVE!” and Comedian with Cirque Du Soleil for over 10 years; Christian Ford aka the Bad-Boy of Magic from the Golden Globe winning FOX Comedy, “Brooklyn Nine-Nine”! Step up, grab a drink and join the party!